The Christian life is one of spiritual courage and determination lived out in our flesh. When we are born again, there is a season, a certain amount of time when we operate in an extremely higher self than ever before. This newness of life is what God does, Holy Spirit cleans our spirit completely and washes us brand new. Over the course of time, we begin to revert and old fossils come back to life. Old patterns of thinking, memories and feelings begin to ‘contaminate’ our hearts, affecting our minds and eventually our spirit (which has become one with HOLY SPIRIT), if we do not allow God’s word to wash us clean daily. But if we truly became sons and daughters of God, we will embark on the journey of learning to live with God and to express His nature in us. It is somewhat like building the walls, like in the book of Nehemiah. We build the foundation, and then the walls around our new nature. If we are not standing on a firm foundation, our lives will blow in the wind and drown in quicksand. If we fail to build the walls, the enemy camp will have direct and constant access into our lives. I have been well taught, the glory belongs to God, that yes we are human and have an enemy but we are responsible for our lives. We have free will, we really do. We cannot blame the devil all the time, we simply make bad decisions and are left to deal with the consequences. We also have issues with strongholds, in which we are rooted in, we learned pride and we lack self discipline. These are self- issues, soul issues. These are not devil issues, or God issues. We can rebuke the devil all day, pray all day but if we do not deal with our soul issues- WE WILL NEVER OVERCOME, we will never live a constant VICTORIOUS and ABUNDANT life. 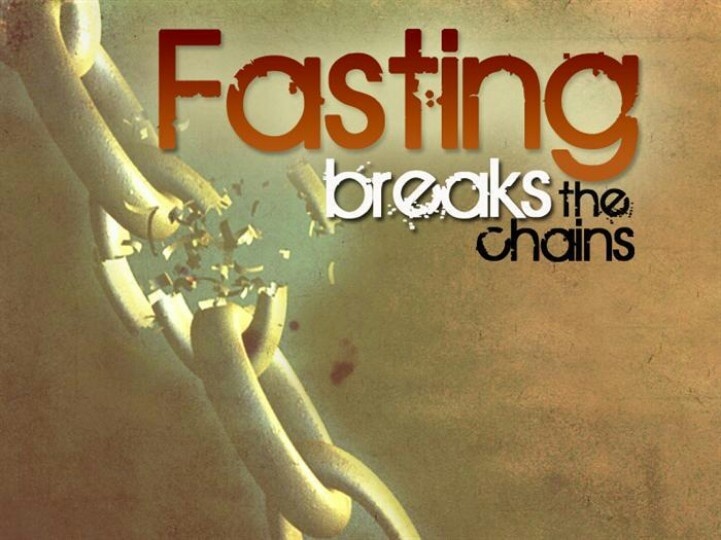 Fasting is the first principle of medicine, fast and see the strength of the spirit to reveal itself. Today, I want to encourage you all to fast and pray. Don’t just stop eating, but include prayer, bible reading and meditation and worship into it. The spiritual world knows the power in fasting, but it must be connected to a purpose and a deity. The Muslim fast in connection to Allah, the humanists and the Hindu fast in connection to the universe, and witches and warlocks fast in connection to Satan. Everyone is ahead of Christians, why? Because Christians are lazy, and lack faith. We may say we believe in God, but we do not trust God. Meanwhile the entire world is transformed because of their diligence, they develop good character because they apply self discipline, they prosper because they develop tenacity, but Christians cry out to God, meanwhile God is waiting for them to act. So I just urge you all, to pray and fast because God has so much more in store for you. Yes we are human, make impulsive mistakes, made silly choices, and have gone around the same mountain for God knows how long, but God wants us to be free. Are you humble and sincere to admit you need to change things in your mind, heart or life? I should warn you, you must be courageous to accept the challenge, because it’s going to hurt. I must also mention, it takes dedication, so you must develop persistence. But after all is said and done, you will be who God wants you to be. Lord Jesus, thank you for always leading us to greatness and promotion. Thank you for being the awesome God that you are, and for your spirit in us. Thank you for speaking, revealing, teaching, comforting and counseling us, I am grateful for you. I come to present our minds and heart attitudes before your holiness, may you give us wisdom and strategy to overcome the obstacles in our present and the strongholds of the past. help our friends to keep in line, unless you don’t have them in our future plans- if you don’t I pray for the strength to deal with that. I thank you for your work in us, and for what you are about to do! In Jesus name, Amen. When people pray and fast, there’s an increase of holy spirit activity. That’s a fact.